The Disney Dining Plans can be a very cost effective way to budget for meals at Disney World and can often save you money when used correctly. 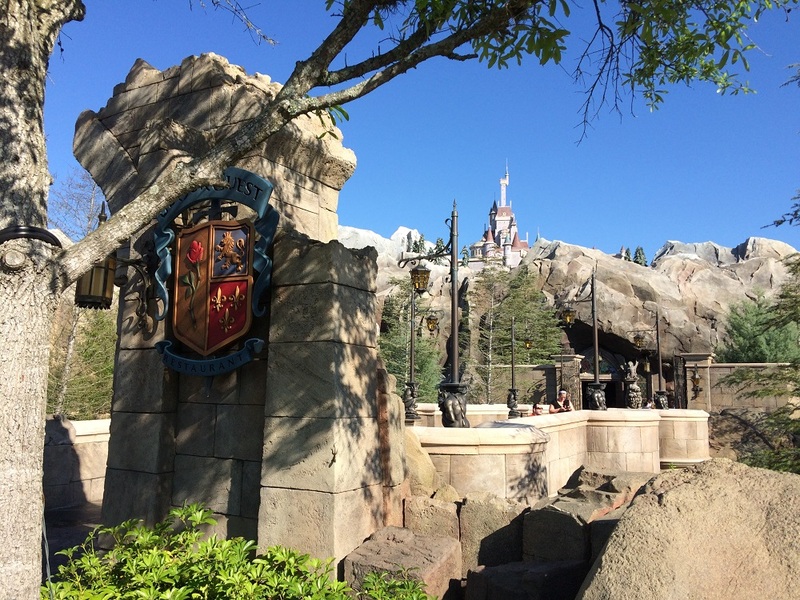 However with the announcement that Disney was increasing the cost of each of the dining plans effective from March 2016, it is now more important than ever to make it work well for your family to make it still worth having. So here are my Top Tips & Tricks when using any of the dining plans that will help you and your family to get the most from it and hopefully still make it the better option than paying out of pocket for your meals. 1. Make use of the Rapid Fill resort refillable drink mug . Because it can not be used to get free refills at the theme parks, some people tend to forget about the refillable mug and do not make good use out of it. However if you use it right, you could save valuable credits elsewhere. Here are some examples that will make your dining plan go further by simply making better use of the refillable mug. If you would like to enjoy a light breakfast at your resort, use your refillable mug to get your morning coffee or soda and then use a snack credit to get a bakery item or breakfast side. You will have created a light breakfast and only used one snack credit, thus saving a valuable quick service meal credit for later in the day. If you are using a quick service meal credit for lunch or dinner at your resort, it typically will include an entrée, dessert and a drink. However, if you make use of your refillable mug, you could then substitute your unwanted drink for another side or dessert. This will give you a possible snack option for later in the day or alternatively it could provide you with enough in the meal itself to share with another member of your party, thus saving another quick service credit. Although refillable mugs can not be refilled in the parks, you are still allowed to have them in the parks. So if you carry them with you, you could get a refill before heading into the parks, and on your return to the resort. Again, saving snack credits that you may have used on bottles of water or soda. According to the official Disney Dining Plan terms and conditions, the refillable mug is eligible for use at the self-service beverage islands at Quick-Service locations at any Disney Resort hotel. So if you happen to be visiting another Disney Resort Hotel stop by and get your refill! 2. To get the maximum value from the Dining Plan always pick the more expensive food options. At quick-service locations all entrées may be priced differently, however all will be eligible under the Dining Plan so if you pick the more expensive options you will be getting more for your money. The same applies to the desserts and non-alcoholic beverage options, however there is usually less of a price difference with them. At table service locations the same rules apply. There could be very extreme price differences between the entrees. For example, a steak entrée will be significantly more expensive than a pasta entrée but as both are eligible under the Dining Plan, it is better value to get the steak! The only exception to the rule for entrées will be if the restaurant serves a dish for more than one person. In this instance two-table service credits would be required. When selecting your non-alcoholic beverage, the most common drinks available will be teas, coffees, and sodas. However, if the restaurant serves milkshakes or smoothies these are often also allowed as your non-alcoholic beverage and usually cost more than your average beverage so always ask. The only exception to this will be if a beverage is served in a souvenir cup. In this instance you would need to pay out of pocket for it. 3. Substitute. Substitute. Substitute. You are still paying a lot of money for the Dining Plan so wasting food = losing money. Always substitute for an item you will eat at the time, or one that could be saved for later in the day. Here are some examples of what you are allowed to substitute. At all quick service locations you are allowed to substitute your dessert for an eligible side, snack or beverage where available. So if you don’t like desserts don’t get them. The same rules apply to your non-alcoholic beverage. If you don’t like the beverage options or you already have a drink, you could substitute it for an eligible side, soup, snack or dessert. Either option could be used to increase the meal portion size so that two people can share one meal, thus saving a quick service meal credit. Alternatively you could substitute your dessert or beverage for a snack option that could be saved for later. For example, a fruit cup or a muffin style item could be used as a snack later in the day or even as a breakfast option the following day. Just because you may not want it at the time doesn’t mean you won’t want it later! It could save you a valuable snack credit. At table service restaurants you are also allowed to substitute your dessert option for an alternative side or soup option. Again, ideal if you don’t have a sweet tooth. If you have any unused quick-service meal credits, these can be converted into three snack credits at select locations. Perfect for snacks on the way home. Les Halles Boulangerie Patisserie – A Quick-Service Location located in France, World Showcase Epcot. 4. Don’t waste snack credits on bottles of water. If you need a drink of water, don’t waste a snack credit on a bottle of water, walk up to any counter-service restaurant inside the parks, and they’ll provide you with a cup of ice water for no charge. You can also bring in your own plastic water bottles and refill them using the water fountains found in all four theme parks. 6. Use the table service credits to dine in the more expensive restaurants. There are many restaurants on Disney property that accept the Disney Dining Plan and use one table service credit. However these same restaurants will have significant price differences if paying out of pocket, so to get the best value from the plan you should pick restaurants that are near the top end of the pricing scale. These would include the buffet style restaurants, and the restaurants that offer character dining as these are often among the most expensive. It is usually better value to use your table service credit for lunch or dinner as breakfast meals tend to be less expensive. If you are planning your dining options, click here for more information on the current menus and pricing of each restaurant. This will also help you decide if the restaurant is a worthy use of a table-service credit. The rough breakdown of each of the Disney Dining Plans means that the Quick-Service meal credits are worth $18, The Table-Service meal credits are worth $37 and the Snack credits are worth $5 so if you choose food that costs more than this, you know you are making the most from the Dining Plan and that it was worth having! So hopefully these Tips & Tricks will help you make better use of your credits and make the most out of the Dining Plan for your family.